Change things up with these side-trips from Cairns: Port Douglas (Safaris, Opal Reef, & more), Palm Cove (Hartley's Crocodile Adventures, Annie's Ladies Boutique, & more) and Walu Wugirriga Lookout (in Cow Bay). Spend the 27th (Wed) among aquatic life with a scuba or snorkeling tour. And it doesn't end there: take a peaceful walk through Daintree Rainforest - Cooper Creek Wilderness, admire the natural beauty at Botanical Gardens, see the world from above with a helicopter tour, and let the river carry you with a rafting and tubing tour. To see traveler tips, other places to visit, ratings, and more tourist information, you can read our Cairns trip itinerary planner. London, UK to Cairns is an approximately 23.5-hour flight. Traveling from London to Cairns, you'll lose 10 hours due to the time zone difference. Prepare for much hotter weather when traveling from London in February: high temperatures in Cairns hover around 36°C and lows are around 28°C. Finish up your sightseeing early on the 10th (Sun) so you can travel to Brisbane. Change things up with these side-trips from Brisbane: Tweed Regional Gallery & Margaret Olley Art Centre (in Murwillumbah), Watersports Guru (in Kingscliff) and Sea World Theme Park (in Main Beach). Next up on the itinerary: stroll around South Bank Parklands, take in nature's colorful creations at Brisbane Botanic Gardens Mt. Coot-tha, kick back and relax at Surfers Paradise Beach, and stroll through Mooloolaba Beach. 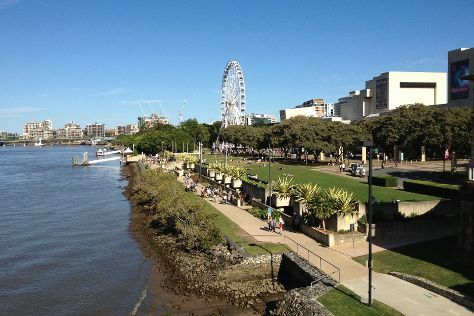 To plan Brisbane vacation without wasting time, ask Inspirock to design an itinerary. You can fly from Cairns to Brisbane in 5.5 hours. Other options are to do a combination of flight and bus; or drive. In March, Brisbane is little chillier than Cairns - with highs of 32°C and lows of 23°C. Finish up your sightseeing early on the 21st (Thu) so you can travel to Sydney. You'll find plenty of places to visit near Sydney: Norman Lindsay Gallery & Museum (in Faulconbridge), Wentworth Falls (in Katoomba) and Gallery Blackheath (in Blackheath). Spend the 27th (Wed) exploring nature at Sydney Harbour National Park. 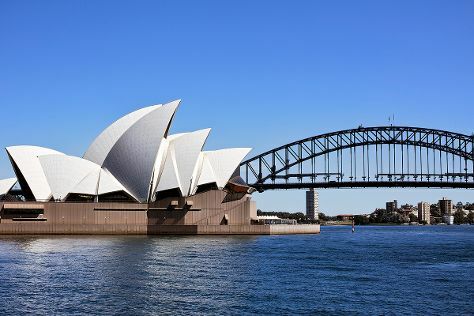 Next up on the itinerary: catch a live performance at Sydney Opera House, kick back and relax at Bondi Beach, take in the views from Sydney Harbour Bridge, and wander the streets of The Rocks. For more things to do, ratings, maps, and more tourist information, read Sydney day trip planning website . You can fly from Brisbane to Sydney in 4 hours. Other options are to do a combination of bus and flight; or drive. In March, plan for daily highs up to 30°C, and evening lows to 22°C. Finish your sightseeing early on the 31st (Sun) to allow enough time to travel to Alice Springs. Spend the 4th (Thu) exploring nature at Finke Gorge National Park. 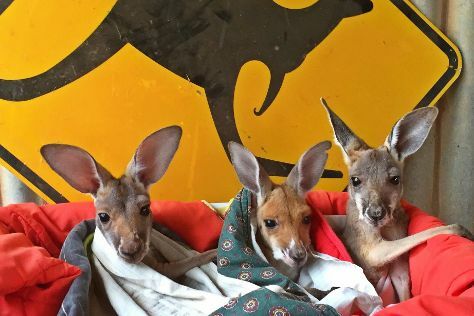 The adventure continues: look for all kinds of wild species at The Kangaroo Sanctuary, steep yourself in history at Alice Springs Telegraph Station Historical Reserve, appreciate the views at Rainbow Valley Conservation Reserve, and take your sightseeing to a higher altitude at Mount Gillen. For where to stay, photos, other places to visit, and other tourist information, read our Alice Springs trip planner . Getting from Sydney to Alice Springs by flight takes about 5.5 hours. Other options: drive; or take a bus. Traveling from Sydney in March, you will find days in Alice Springs are a bit warmer (40°C), and nights are about the same (21°C). Finish up your sightseeing early on the 8th (Mon) so you can travel to Darwin. Get out of town with these interesting Darwin side-trips: Litchfield National Park (in Batchelor) and Litchfield National Park (Helicopter Tours & Buley Rockhole). Spend the 9th (Tue) wandering through the wild on a nature and wildlife tour. Plan for a day of cool, family-friendly fun on the 16th (Tue) at Darwin Waterfront. And it doesn't end there: get engrossed in the history at RFDS Darwin Tourist Facility, identify plant and animal life at Crocosaurus Cove, see the interesting displays at Museum & Art Gallery of the Northern Territory, and head outdoors with Far Out Adventures. For traveler tips, other places to visit, and other tourist information, use the Darwin day trip planning tool . Traveling by flight from Alice Springs to Darwin takes 5.5 hours. Alternatively, you can drive; or take a bus. Plan for somewhat warmer temperatures traveling from Alice Springs in April, with highs in Darwin at 38°C and lows at 28°C. Cap off your sightseeing on the 18th (Thu) early enough to travel back home.